Responsibility for the direction and leadership of the committee. Act as the public face of the Committee and Association. Control the meetings and liaise between the Allotment Association and the Parish Council, along with representing the Association at events and meetings. They are the signatory on cheques and funding applications. They will chair the AGM. Assist the Chair with their responsibilities, and aid the smooth running and success of the Allotment committee and Association. They are also a signatory on cheques. Responsible for the financial supervision of the Association, this includes paying of bills, collection of rents, banking of monies and issuing receipts in conjunction with the Parish Council. They will prepare the association accounts, reporting all financial incomings and out goings, and compile annual reports for the AGM. Responsible for the documentation and communication of the activities of the committee. This will include the taking and distribution of minutes, agenda and dates of committee meetings. To liaise with Parish Council on the keeping of waiting lists, showing the allotment site to new prospective plot holders, ensuring plot holders understand and agree the rules of the site. To act as liaison between the committee, individual plot holders and the Parish Council should problems arise with regards to rents and up-keep of plots and notice of plot holders. To head up a team of volunteers to cover different areas of the site, with regard to maintenance of site, walk ways, water troughs and general tidiness of site. To carry out inspection reports and note where necessary repairs required and compliance of allotment rules. To organise, encourage and publicise social events for all of the members of the Allotment Association. 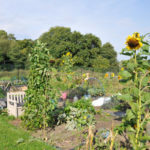 This may include liaising with outside organisations and the Parish Council, to develop relations with the wider community to support the aims of the Allotment Association. To maintain and develop the web site, this will include liaising with the committee and outside agencies in order to publish articles, share information regarding the site, social events and meetings. Not all committee members have a specific role, but all members should also help with the general running of the Association and pick up various tasks and responsibilities when needed. This may include helping with fundraising, site shop, plant swops and contributing to web site and newsletters.